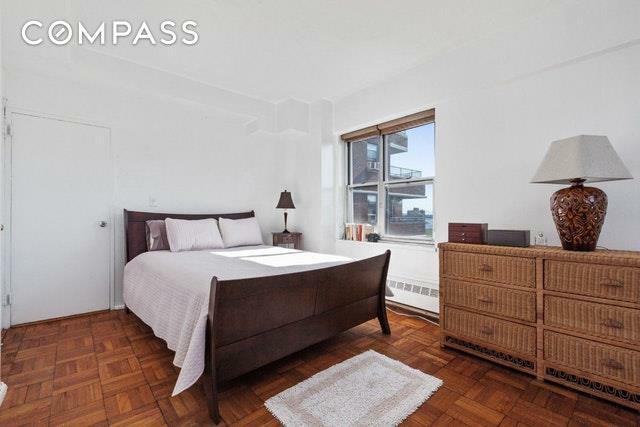 Great Deal and Opportunity for this spacious and bright oversized corner one bedroom home. Be wowed by a panoramic skyline view from the Freedom Tower up to the Empire State Building. 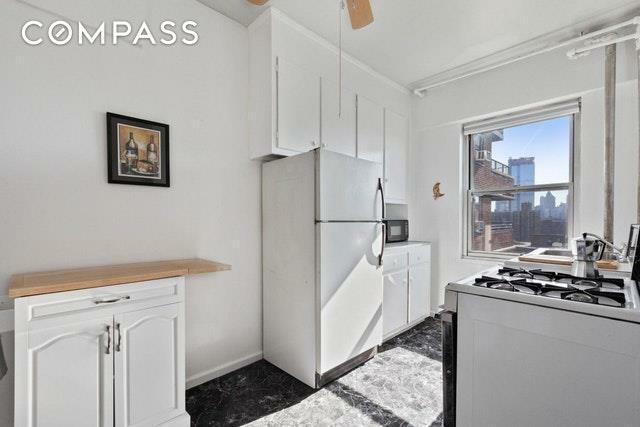 This well-maintained and generously proportioned apartment boasts a large living room, a windowed eat-in kitchen, a sizable bedroom with north and west exposures and a walk-in closet, and four closets throughout. This is a fantastic opportunity to customize your dream apartment.The well-run and excellently maintained co-op features a 24-hour attended lobby, on-site maintenance staff, a fitness center, two private parks and playgrounds to name some of the many amenities offered. 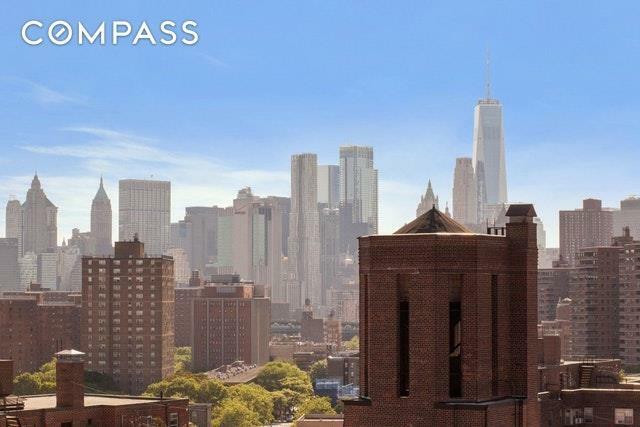 The location is ideally situated one block from the revamped East River Park with its promenade, tennis courts, athletic fields, and amphitheater. 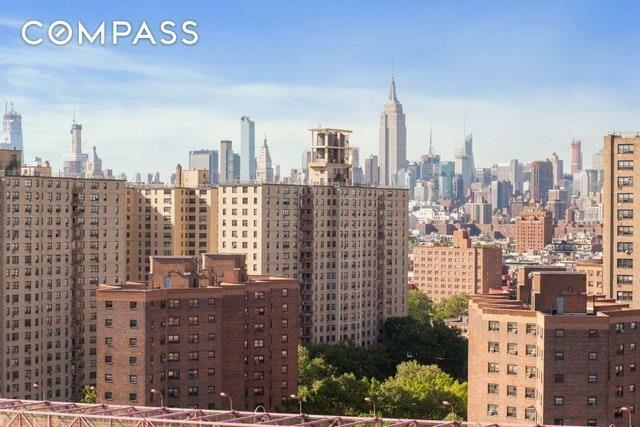 Also nearby the newly developed Essex Crossing with Trader Joe's, Target, Regal Cinemas, along with the best dining, shopping and entertainment which has made the Lower East Side a sought after destination neighborhood. Transportation options abound as well, conveniently located near the F/M/J/Z subway lines and numerous bus routes. Co-purchases, guarantors, parental assistance, and pied-a-terres are all allowed with board approval as well as subletting after two years of ownership.